ADHD involves serious issues but strategies for turning symptoms into strengths exist. ADDults with ADHD proudly announces the ADHD Annual Conference on Saturday, 20th October, 2018. Some good reasons to attend. ALISON POULTON, Senior Lecturer, Sydney Medical School Nepean. Topic:Why does my partner with ADHD have to be so difficult? CAROL MARTYN, Organising Coach. Topic: What is the difference between Messy and Hoarding?" DR AMANDA MULLIN, Clinical Psychologist. Topic: Emotional Regulation and ADHD"
Explore free ADHD self-help handouts about key ADHD challenges. 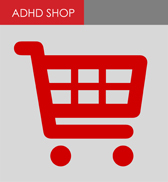 Buy essential ADHD self-help resources. Download the brochure and share with others you think might be interested.